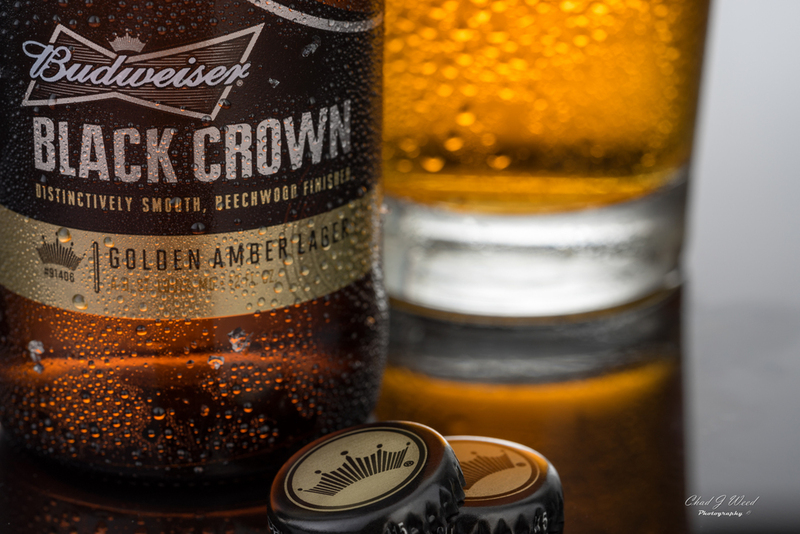 This portfolio shoot of Budweiser Black Crown Beer was a lot of fun! I decided to avoid the obvious dark and moody shot that the name would imply and elected to go for something simple and bright. This was a simple set up, with a strip box on each side at the 4 & 8 o'clock position, with an additional layer of Savage Translum Diffusion for an even spread of soft highlight. Shot on a simple piece of black glass, which does an amazing job of reflecting the white seamless paper back drop. Captured on my Sony a7r, using the 90mm Macro lens and Elinchrom lighting.